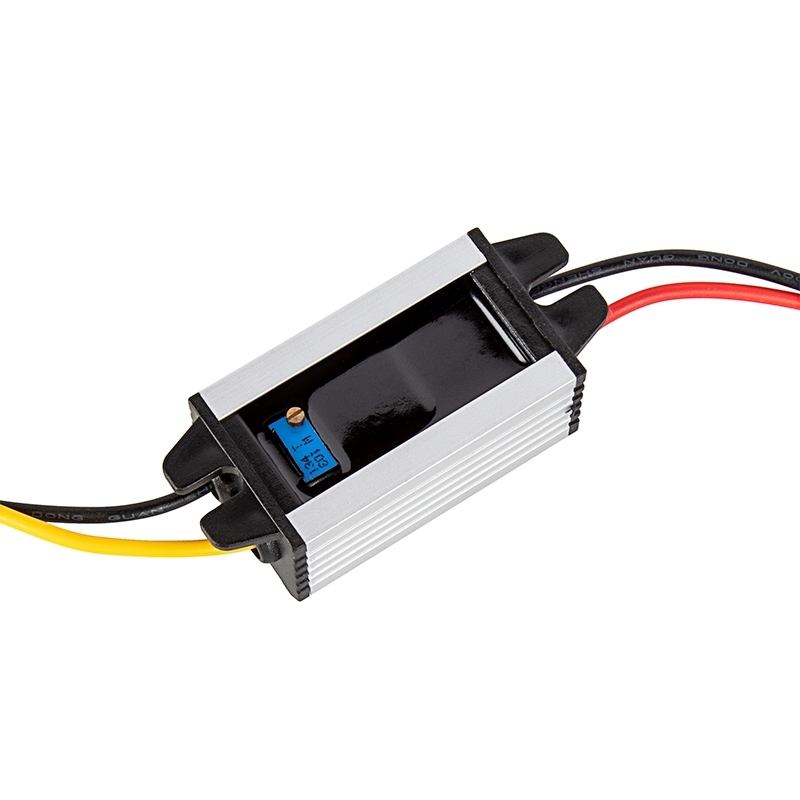 This DC-to-DC voltage converter allows you to use LED lights ranging from 3.3-24 volts with your vehicle's 12V, 24V, or 36V DC system (8-40V). 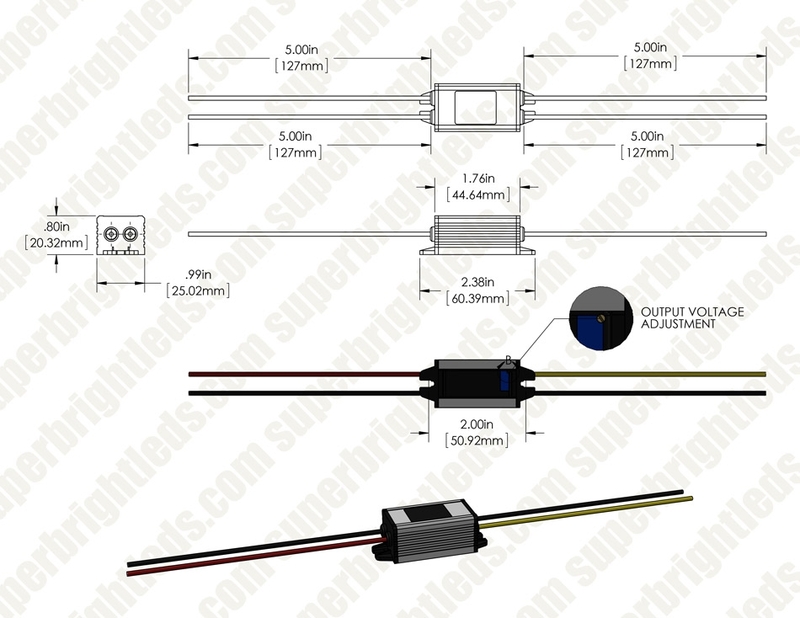 The waterproof converter is rated for 3 amps (15W) and is constructed of durable die cast aluminum with 5" wire leads. 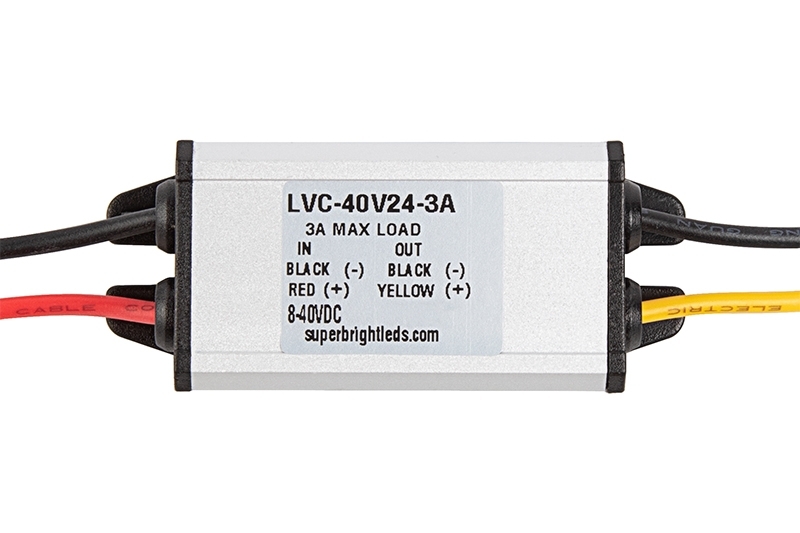 Easily adjust output voltage, and surface mount the converter with screw holes on both ends. 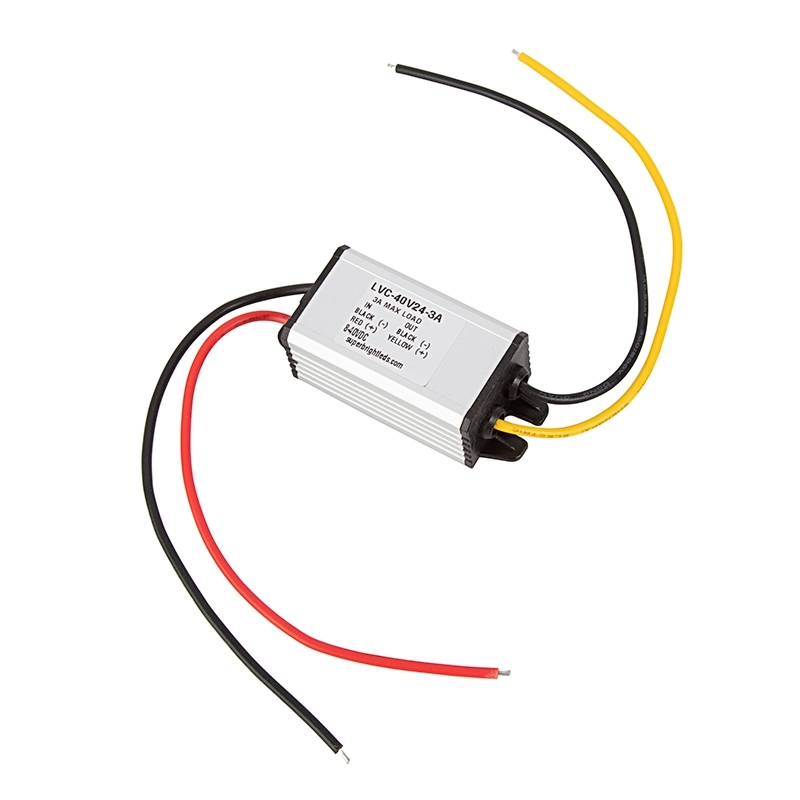 Use this power reducer for commercial, industrial, or military vehicles as well as forklifts, tow tractors, golf carts, and more.